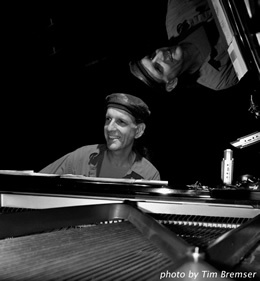 Jazz pianist, trombonist, and composer/arranger,Jeff Presslaff has become a mainstay of the Winnipeg jazz scene since moving from New York in 1997. "He gets the harmony just right!" Jeff has received many commissions for a wide variety of ensembles, including big band, clarinet choir, combined big band/wind ensemble, symphony orchestra plus salsa band, clarinet quartet and many others. 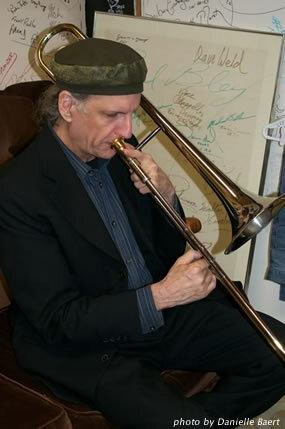 He has arranged for many great performers, including Terence Blanchard, P.J. Perry, Denzal Sinclair, Cornelius Bumpus, Jimmy Greene and Andrea Brachfeld. His work is frequently supported by awards from the Manitoba Arts Council and the Canada Council for the Arts. He is the composer of the world's only concerto for cello and big band. He's also featured on several recordings on the exploratory Inter/play label. 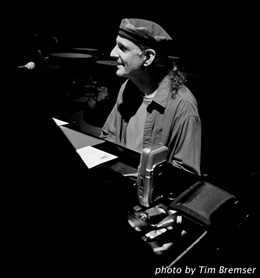 His 1991 album of original compositions, Collective Unconsciousness, features the late Steely Dan saxophonist, Cornelius Bumpus, and Ui bassist, Wilbo Wright. He has also recorded the piano works of composers J. K. Randall and Benjamin Boretz. His writing and playing have been featured on recordings by Prudence Johnson, The University of Manitoba Jazz Ensemble and Ron Paley. His compositions and instrumental work have been heard nationwide on CBC.